Once upon a time there was a little girl from regional Queensland who dreamed of being by the sea as she was drawn to the ocean. Fast forward 40 years (yes, that’s my age!) and my sci-art story finds me turning something I love into something I live! So how did I do this and what has science and art got to do with the oceans!? 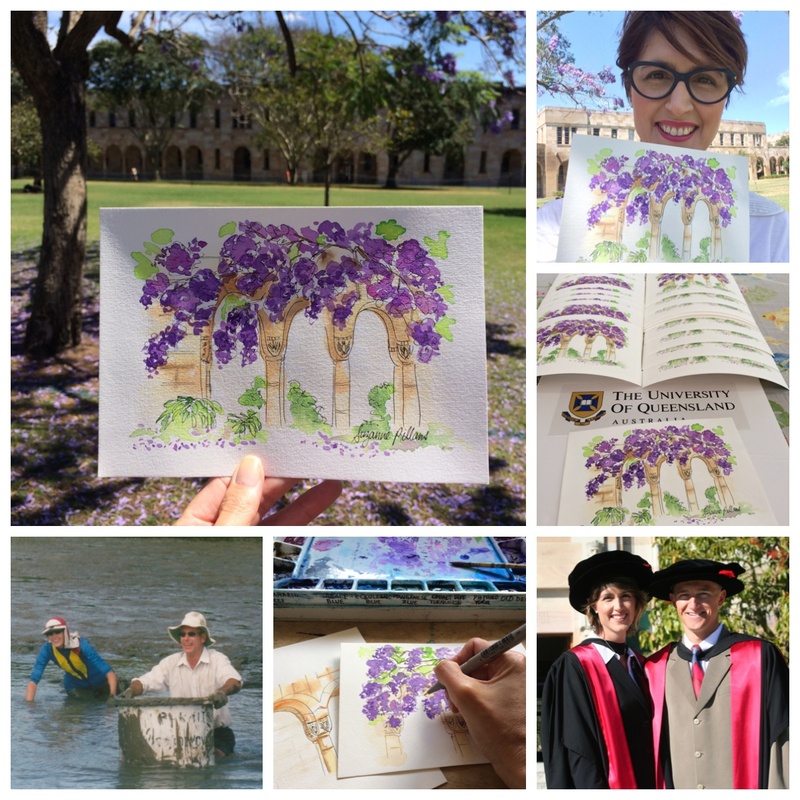 My story starts at the University of Queensland (UQ) in Brisbane, Australia, where I did my PhD in marine science and on weekends I started watercolour painting, of course of all things marine. My time at UQ also included my family as my Dad helped me with every field trip into the mud in the name of marine science and I also met and married my marine science buddy for life, my hubby Dr Rich. The two Dr Pillans’ then graduated with their PhDs in marine science on the same day at UQ, which was quite the event! Over the next 10 years whilst I held numerous different jobs from public policy to industry development and research management I always kept up my marine painting. You can follow my creative journey as my alter ego Dr Suzie Starfish on Facebook (https://www.facebook.com/drsuziestarfish/) and @suepillans on Twitter and Instagram. ← Drawn to Help Hack for Health!